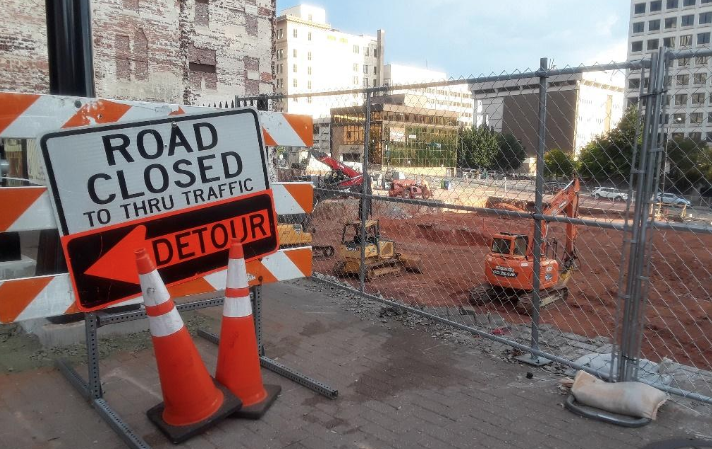 A 17-foot-deep pit of dirt and gravel the size of a city block might catch the eye of a passerby strolling down Fourth Street in downtown Winston-Salem. The poster on the chain-link fence surrounding the complex provides an even more impressive promise. On the property, Mayfair Street Partners plans to erect a six-story Hyatt Place hotel directly to the west of the Pepper Building on North Liberty Street. They also aim to construct a seven-story high-rise comprised of 32 condominium units. Their plans also include planting trees and other shrubbery around the park, and constructing underground valet parking with the capacity to accommodate 168 vehicles. 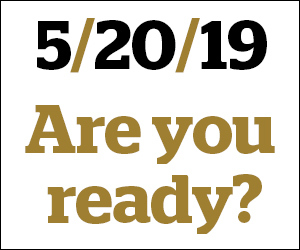 According to Simon Burgess, Managing Director Partner at Mayfair, it all began on July 2016, when Mayfair Street Partners acquired the historic Pepper Building on the corner of West Fourth Street and North Liberty Street. They are currently renovating it into a Hotel Indigo. The project is estimated to cost about $27 million, $3 million of which comes from city bonds. Burgess said the process is moving with steady progress. The plan is to open the Hotel Indigo on the third week of January 2019, and the other two hotels in 2020. This development is only the latest in a series of development projects undertaken by the city, including the anticipated children’s museum Kaleideum planned to stand opposite Merschel Plaza on West Third Street, a 119-room Hampton Inn & Suites on the corner of West Third and Cherry Streets, and the renovations on Passageway Park on Trade Street. With projects like these, the city aims to stimulate economic growth downtown. Some city residents have reservations about the project. Despite the inevitable complications associated with urban development, MacIntosh said that the feedback that he has received from his constituents has been largely positive. He pointed to the estimated revenue that the hotels are expected to generate, a figure at around $20 million, as a significant factor. This is a much higher figure than many other downtown developments, and will benefit city residents. The economic advantages aren’t the only reason to develop this city block. Sgt. Kevin Bowers of the Winston-Salem Downtown Bike Patrol described how he handled numerous incidents of public intoxication and occasionally urination while on duty at Merschel Plaza. “It was a safe area, but there was a lot of nuisance-type calls that we dealt with,” he said. Sgt. Bowers elaborated that the large concrete pedestrian walking bridge that spanned across Third Street was the subject of most of his calls to the park, and said its removal and construction starting made the unlawful activity move to other locations, like Winston Square Park on North Marshall Street. Despite this, he said that he looked forward to the final product, and that the luxuriant new look planned will be a welcome change for downtown. “I think it’s going to look a lot nicer, and it’s still going to attract people,” he said.